Have you ever tried to come up with awesome content ideas but felt that your ideas just weren’t hitting the mark? Researching the content with the most social shares and which keywords could get you the most traffic – it all sounds easy but sometimes those awesome ideas you’re looking for just don’t materialize. You’re not the only one – we’ve all been there. 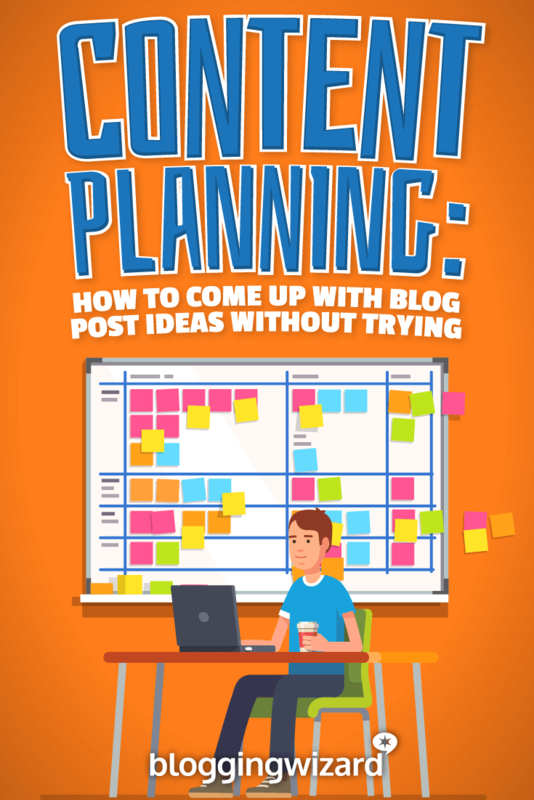 So if you’re serious about trying a different approach to content planning that will get the creative juices flowing almost without trying – you will love this post. Below you will find a process that when put into action will significantly increase the awesomeness of your content ideas. For a long time I’ve taken a task orientated approach to coming up with blog post ideas. I’d block out time in my calendar, then when the moment came, I’d sit down at my desk and start digging into research tools with the aim of coming up with content ideas. That worked – kind of… But, sometimes I’d hit a creative wall. Usually I’d keep trying to come up with ideas purely because I felt I had to in order to stay focused. I started to notice that if I left my computer and started doing something repetitive – coming up with ideas was easier. And my ideas were far better. It’s a little bit like what Walter Bishop from Fringe used to do when he was trying to remember something or solve a problem – he’d do something menial like going for a walk or gardening and within a short space of time, he’d have the answer (Eureka!). Sure, that’s just a TV show but this works in real life. And studies have shown that we get most of our ideas during optimal distraction and dopamine producing activities. For example, I thought of the concept of this post as well as each of the 5 steps we’ll talk about below while standing in front of my fridge eating a yoghurt. It may seem like all there is to this way of planning content is just doing something else but there’s a bit more to it than that. There are steps that come before this to ensure that the ideas you come up with are as awesome as possible. Whatever your niche, you need to immerse yourself in it. Read as much as you can and learn as much as you can. Knowledge and understanding of your niche is super important for coming up with ideas later on. Don’t try and think of content ideas just yet, just focus on learning as much as you can. Read more blogs, books and forums etc so you can know exactly what’s going on in your niche. There are times when I’ve woken up at 2am with an awesome idea. If I had to spend 5-10 minutes searching for something to write my idea down on, the moment would be gone and the time I’d generally spend fleshing out the idea would have been eaten up before I’d started writing anything down. It’s impossible to know where you’ll be when you get your next great idea so you need a note pad and a pen at least. I use the Evernote app for this. It’s a note taking app that’s available for desktop and mobile (it’s free too which is even better). This helps me keep all of my notes synchronized. So when I write notes on my phone, I can go to my laptop later and access them. It comes down to this: don’t let another awesome idea go without writing it down. Your ideas matter. Now it’s time to stop actively trying to think of ideas and do something repetitive. Going for a run, exercising or anything else you can do without trying to come up with a content idea. Start off with focusing your thoughts on a topic and then let the idea unfold in your mind naturally. If your first idea doesn’t strike you as a great idea, don’t worry – most great ideas didn’t start out that way, they evolve. Your initial idea is just the starting point, so develop your idea further to ensure you turn it into your best idea yet. As the idea is forming in your mind – get it written down, whether you’re using a notepad, Evernote or something else. It only needs to be in note form initially, the important thing is that you get the idea down. You can then continue with your notes and start fleshing out the idea in a bit more detail. The sooner you start turning your notes into a complete piece of content – the better. I’ve noticed that it’s much easier to write from my notes just after I’ve written them, rather than waiting an hour, a few days or a week. Having the idea fresh in your mind is a big help. The truth is that sometimes you just can’t start writing a blog post, but if you can it’s well worth starting the writing process straight away. There will always be a time for the more conventional content planning techniques such as utilizing keyword research, trending topics, top linked to or shared content. But, chances are that you’ll find your best idea come from using an unconventional approach.